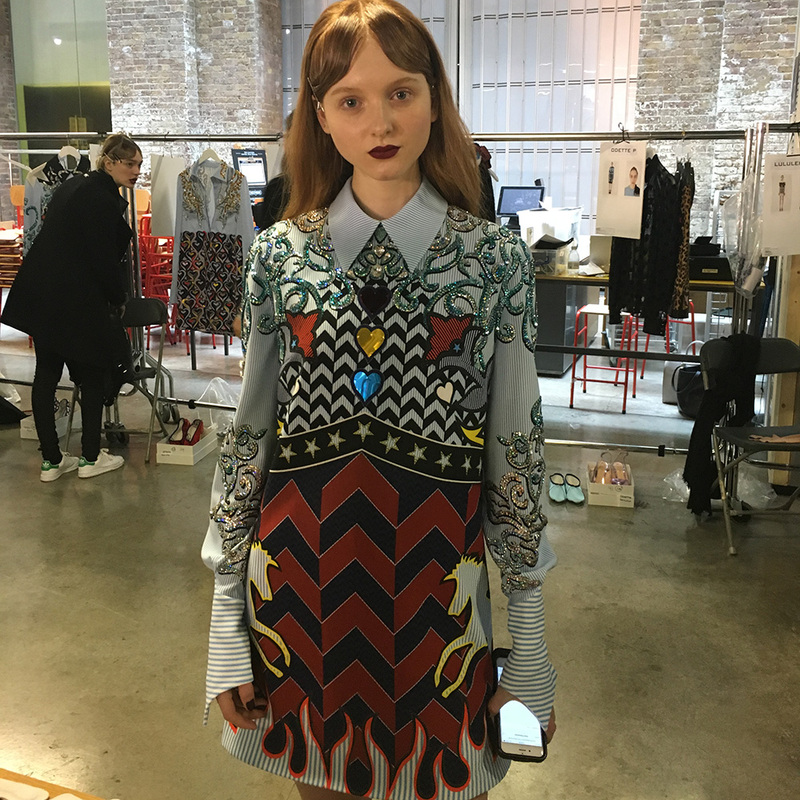 Mary Katrantzou is all loved up for AW16, with a collection literally inspired by love’s young dream. Aw. 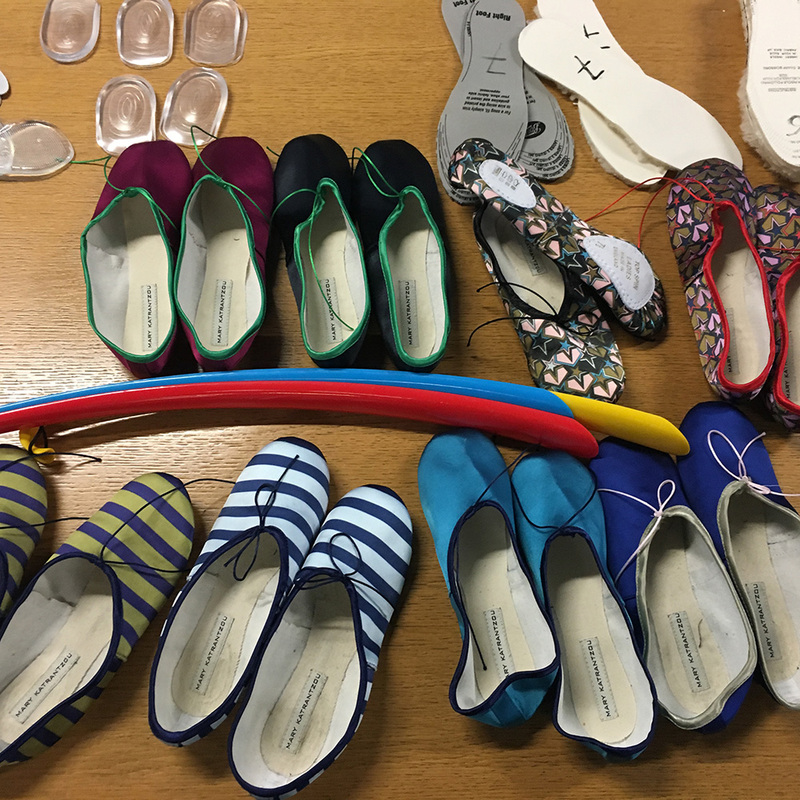 Fashion translation? Some seriously cool embroideries referring to vintage cinema romances and the prom queen, foil balloon catwalk set to end all others. 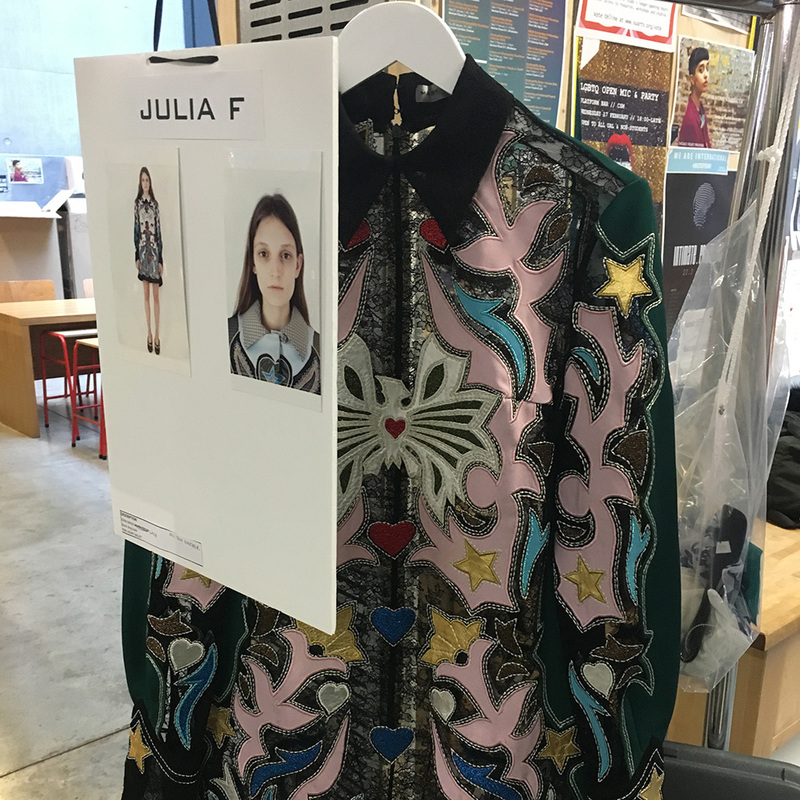 Layers and layers of flames, stars, hearts and fireworks were embellished onto Mary’s boxy jackets and shirt dresses, some in foil appliques, others in a heavy blast of beading. See some of our favourite finished looks in the gallery above. Let’s just zoom a little closer on some of that sparkle, shall we? 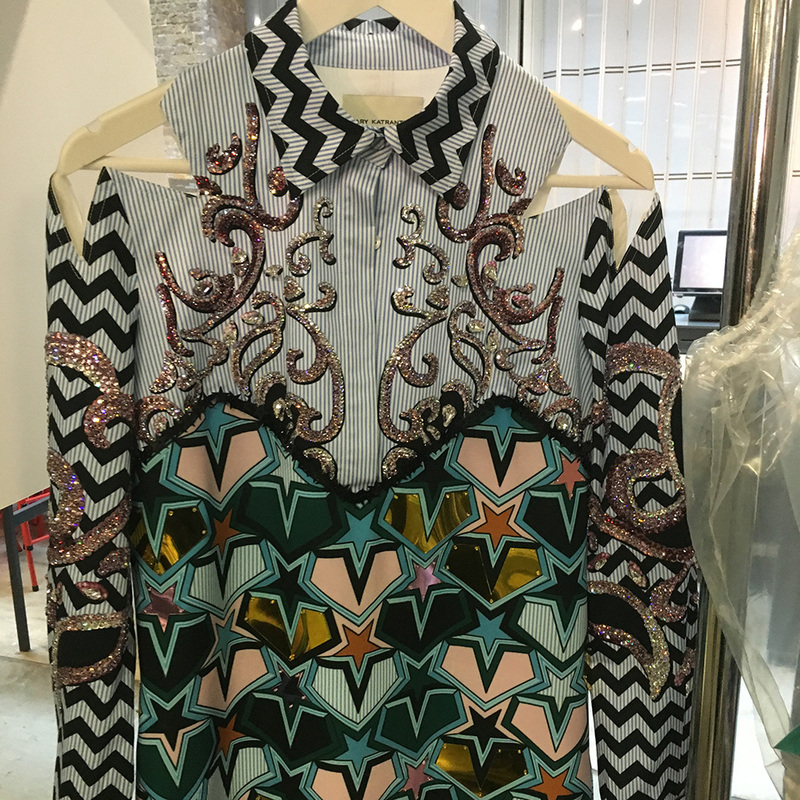 A blitz of micro seed beads form each intricate symbol, exactly the kind of rich craftsmanship Katrantzou fans go mad for. And how would said Fifties heroine complete her Hot Rod-ready look? With a decadent printed silk scarf, but of course. 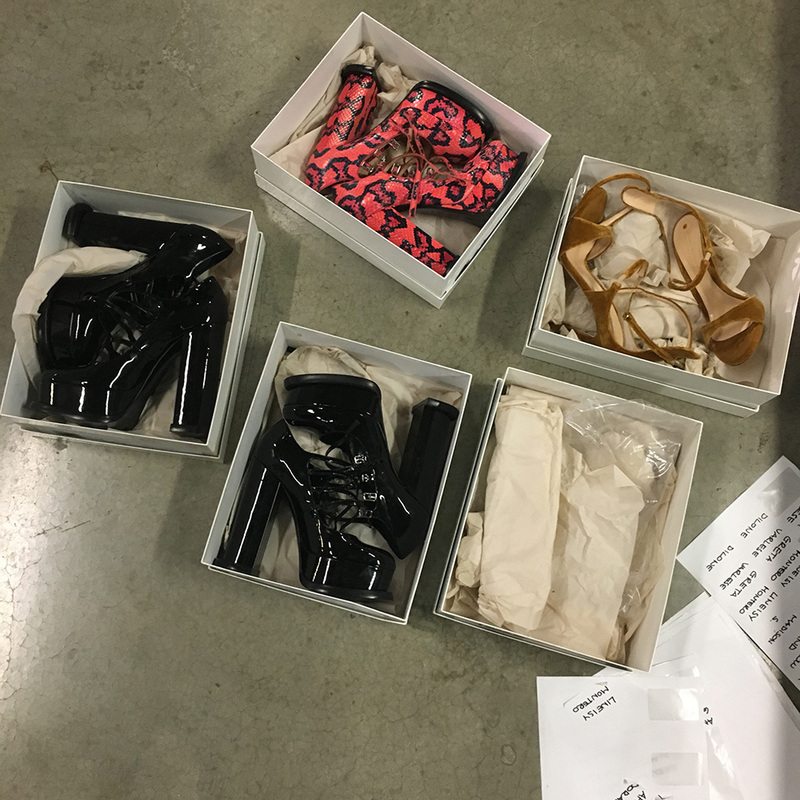 Here’s Mary’s backstage guide for how to style the look. 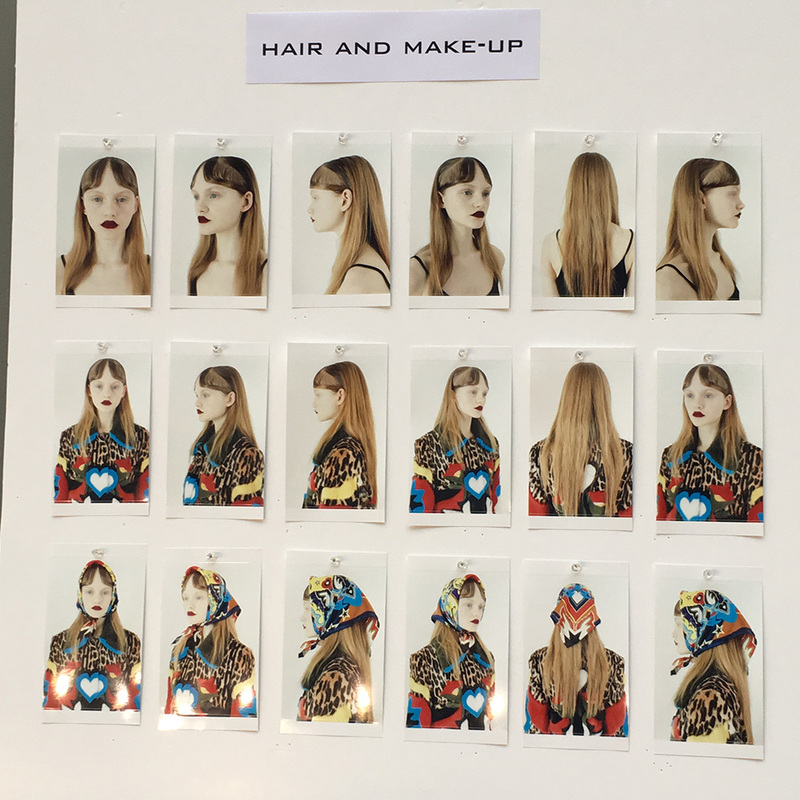 Ever wondered how a catwalk show looks so slick and perfect? 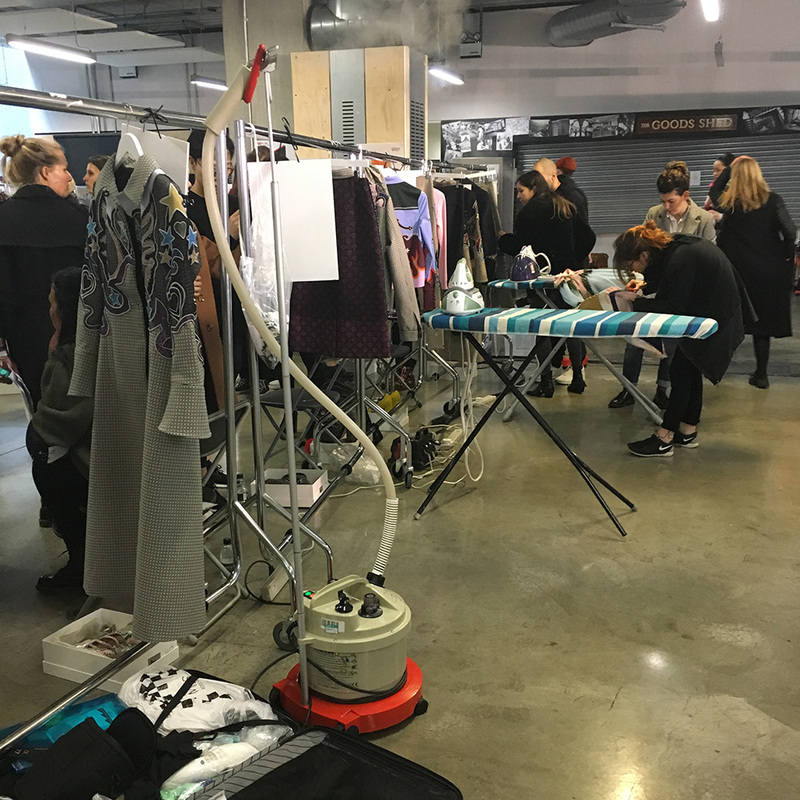 Well behind the scenes there’s a whole team, nay, an army, pressing and steaming every pleat into its perfect position. 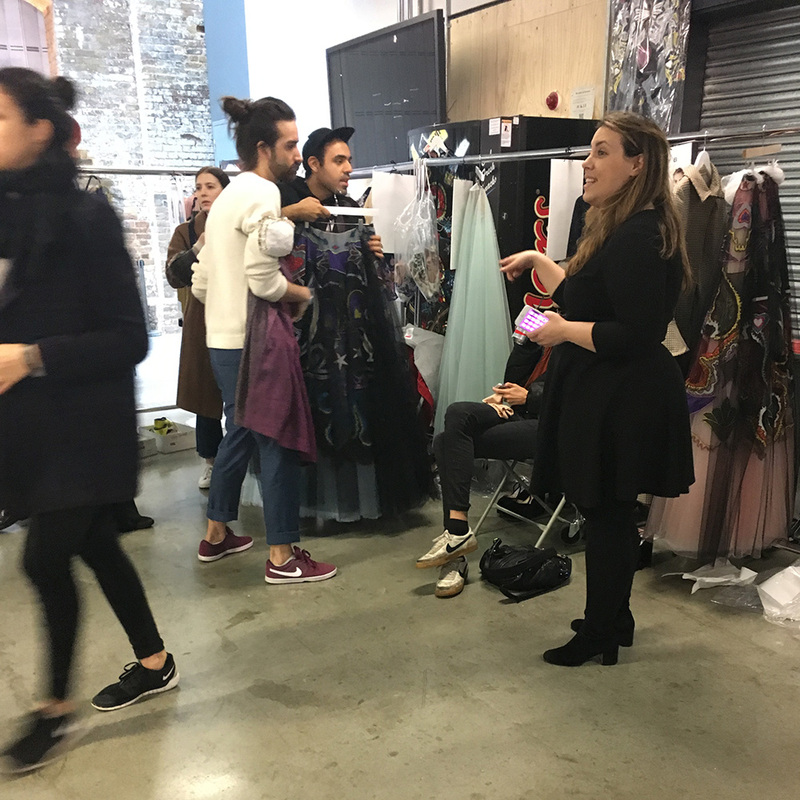 Mary’s backstage bunch were a well-oiled machine if ever we’ve seen one. 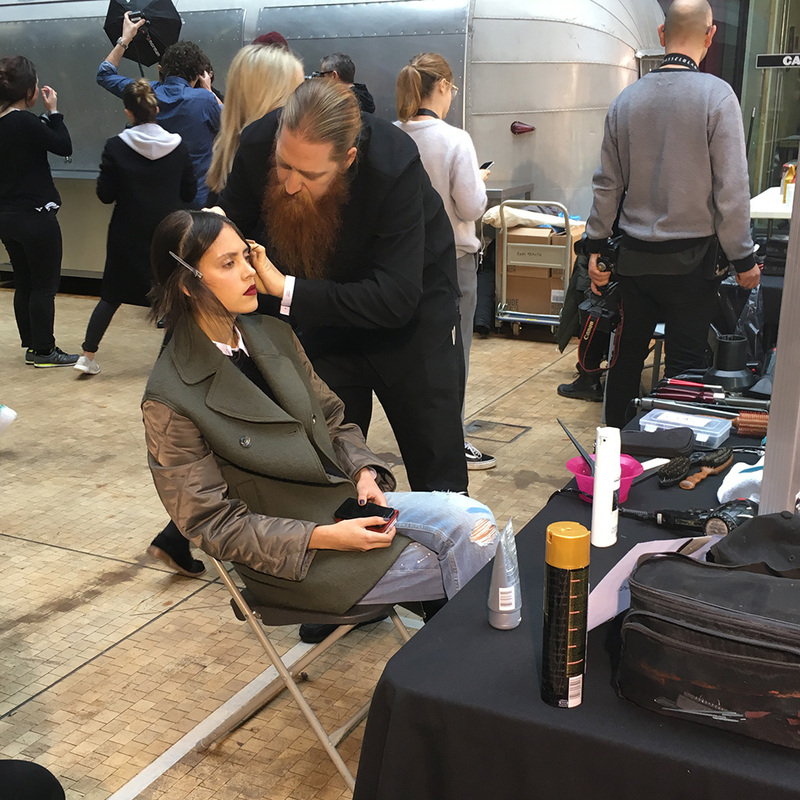 Mary is hands on right up until show time, working with her team to personally sign-off all the finishing touches of every girl’s look. Our favourite moment? When three seamstresses became buried, head first, under the finale look’s explosion of tulle skirt layers as they tailored it perfectly onto the model. Oh the glamour! Oh sweet heels. Mary’s collaborator, Gianvito Rossi, has really hit the spot with these super-stacked platforms. And looking better than ever, non? Mary’s come covered in stripes, hearts and star prints shutting down all memory of the peach WAG pumps of yesteryear.